The Technique of Film and Video Editing provides a detailed, precise look at the artistic and aesthetic principles and practices of editing for both picture and sound. Because editing is about more than learning a specific software program, this book focuses on the fundamentals of editing as art. 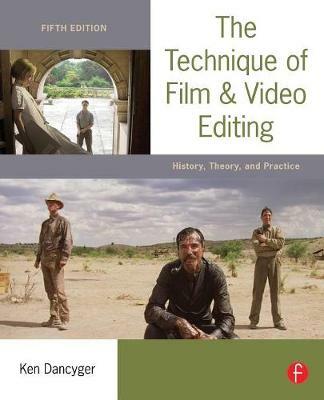 Analysis of photographs from dozens of classic and contemporary films and videos provide a sound basis for the professional filmmaker and student editor. This book puts into context the storytelling choices an editor will have to make against a background of theory, history, and practice. This edition includes brand new chapters covering the goals of editing, including editing for narrative clarity, subtext, aesthetics, and dramatic emphasis, all showing how to evoke specific audience responses. Some of the new films to be discussed include A History of Violence, Atonement, The Departed, Forgetting Sarah Marshall, MIchael Clayton, and more.